Written by Kim on May 21, 2015. 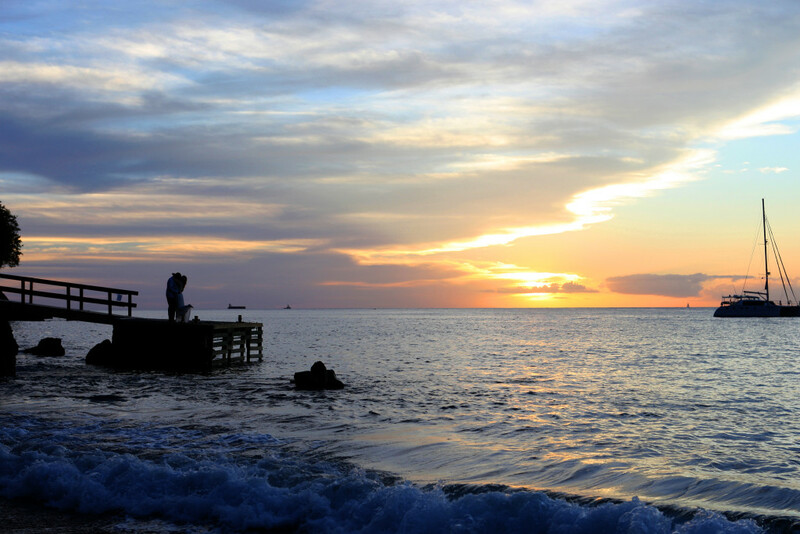 This week’s FriFotos theme is Caribbean. 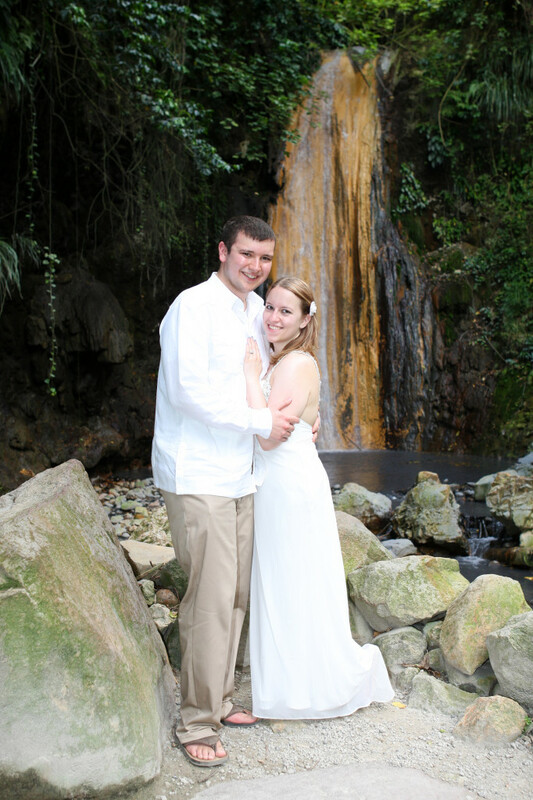 I’ve only been to the Caribbean once—on our honeymoon to Saint Lucia in February 2013. We stayed at Sandals La Toc, which proved to be a truly bizarre experience. They say the devil is in the details, and that was definitely true of this place. It was a lot of little things that made us disenchanted with this tropical retreat. From the photos on the website looking drastically different from reality to the the pool guy scaling the 6-foot wall of our “honeymoon hideaway” at 5 a.m. to stand outside our bedroom window to clean the pool, it just didn’t quite live up to our expectations. The best part of the trip by far was the day we spent with Ray from Karay Media. We’d booked a photo shoot with him to do a “trash-the-dress” session. 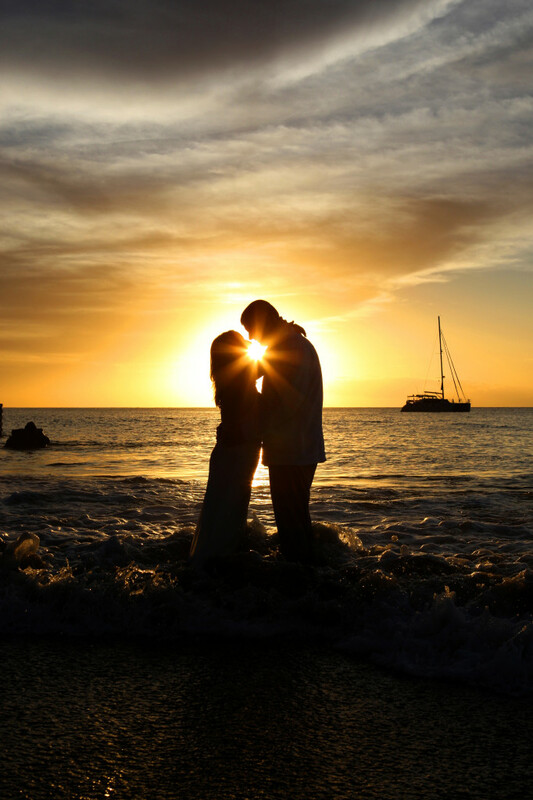 I wanted those gorgeous beach wedding pictures without actually getting married on the beach. Ray came to our resort to pick us up, and whisked us away on a daylong adventure, complete with beaches, waterfalls, and a sunset swim. It was magical, and we now have beautiful pictures to prove it! 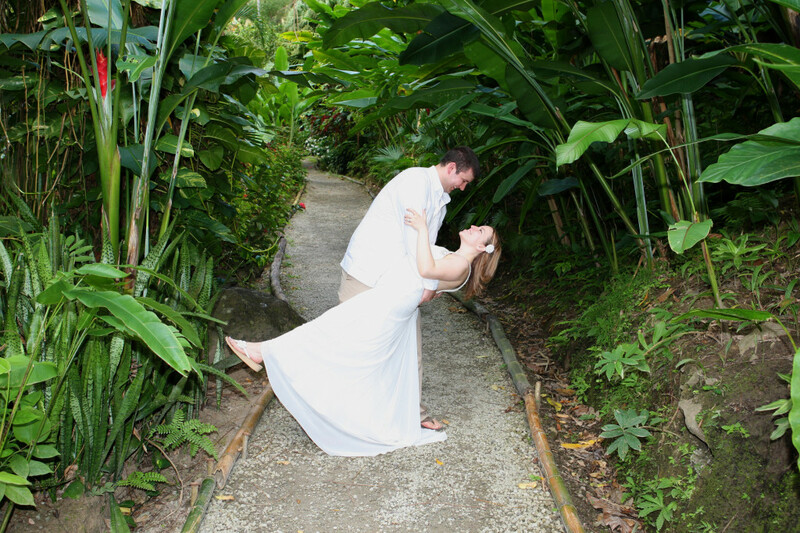 Trash the Dress Photo Shoot in St Lucia. Here are more pictures from an earlier post.